A long time ago in a galaxy far, far away…we found this awesome, premium 9″ talking BB-8 plush! Now you can have your own robotic companion to take with you on all important space missions. Although you may need to learn how to speak droid first! 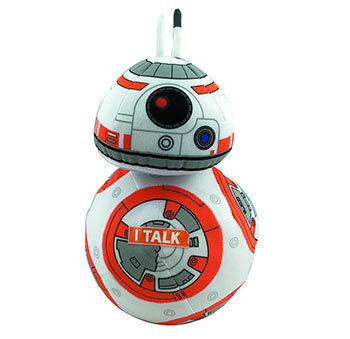 Featuring the original beeps and sounds from The Force Awakens, this realistic plush version of BB-8 is a must have for any fan or collector. Requires three AG13/LR44 cell batteries (included). The sickest symbiote of all is back, and the result is gonna be Carnage! Cletus Kasady has renewed his killing spree, and the FBI is following the trail of bodies. They think they’re ready: They have the latest sonic tech, and a specialist team including military hero/astronaut John Jameson and a reformed Eddie Brock! And when they pursue Carnage into an abandoned coal mine, the trap is set – but is it for him, or for them? As the walls close in, things get hairy for Jameson, and Brock itches to unleash his own monstrous other half: Toxin! A symbiotic smackdown is on the cards – but who will come out on top? 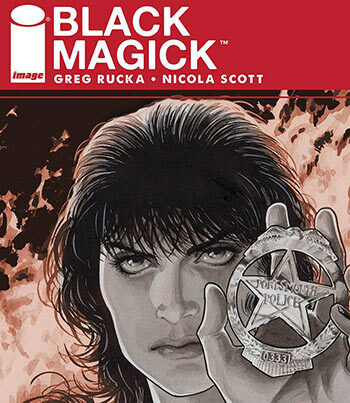 Meanwhile, the Darkhold Cult has its own plans for everybody’s favorite psychopath – and that can’t mean anything good! All-New! All-Different! All killer no filler! 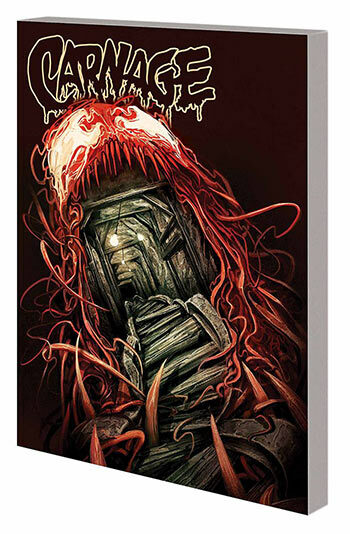 Collecting CARNAGE (2015) #1-5 and material from ALL-NEW, ALL-DIFFERENT POINT ONE #1. From Funko. 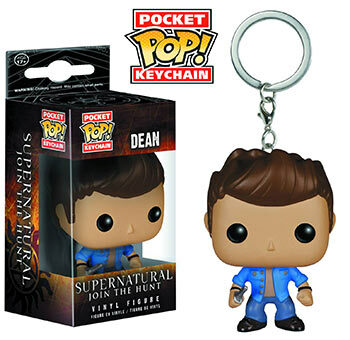 Join the Winchester brothers’ hunt for supernatural menaces with these keychains bearing 1-1/2″ tall stylized vinyl figures of Sam, Dean or Castiel from the hit CW series. Rowan Black is a detective with the Portsmouth PD… and a witch, two aspects of her life she has struggled to keep separate. Now someone is targeting Rowan, someone who knows her secrets and means to expose her… or worse. This entry was posted in Comics by clive. Bookmark the permalink.